The Mariners got things started early once again at Kauffman Stadium as they dropped a 3 spot on the Royals in the first inning. 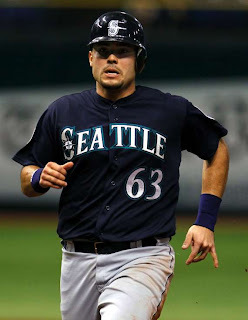 Jesus Montero hit a double that scored Casper Wells from first base and that was followed by a Justin Smoak homerun. A two run shot, his second in as many days. There was little doubt about this one, as it went deep into the left field seats. All of a sudden the Mariners are out of Safeco and they seem unstoppable again. The second inning they added another 3 runs. 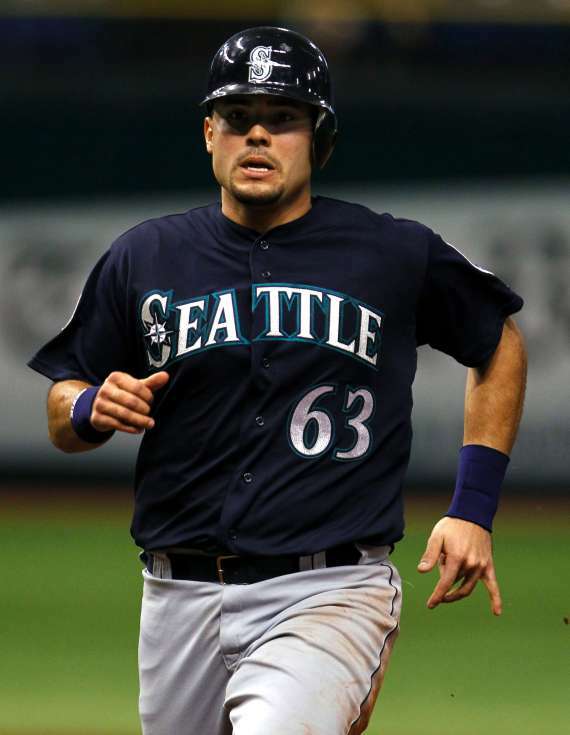 Jesus Montero got in on the action again as he hit an RBI single to left that scored Dustin Ackley. After Smoak walked to load the bases, Kyle Seager lined a first pitch fastball into right field for 2 RBI and a double. Now the Mariners were up 6 to 0 and it was only the 2nd inning. The top of the 5th, the M's tacked on 3 more with a Michael Saunders homerun with Miguel Olivo aboard and a Dustin Ackley triple to score Brendan Ryan. That marks the second night in a row in which the Mariners have scored 9 runs. Blake Beavan was called up from AAA Tacoma to make a spot start today and pitched a pretty decent game. He gave up 3 runs in the 3rd when the Royals got two consecutive triples with one out to score one and then an RBI single by Alcides Escobar and another by Billy Butler. That would be all Beavan would surrender until the 6th inning when he gave up a single and a double to lead off the inning. He handed the ball over to Charlie Furbush who got a groundout that scored the run from 3rd and then left the game due to an injury. Shawn Kelley came in and faced one hitter, gave up a 2 run homerun and then left the game. Beavan was charged for 2 runs and Kelley with one as Lucas Luetge came on to close out the inning. Mariners 9, Royals 6. Jesus Montero has been raking once again. With two hits yesterday and another 3 today, he is now 5 for 8 with two walks in the last two games. What a difference a little hot weather can make. The Mariners as a whole are hitting .321 so far this road trip and have a .384 OBP. Not the type of numbers we've been seeing consistently but they are numbers we have seen on the road. The Mariners have scored more runs on the road than any other team in baseball. I heard that on the radio today on the Kevin Calabro show with Jim Moore and I couldn't believe it, but it's true. If we were any good at all in our home park, we would probably be sitting right there above Oakland and in contention for a wild card spot. We're not, but we should be. Five games left on the road trip that could amount to another 45 runs for the M's if they keep up this 9 runs per game trend. I'll be happy with wins, but hopefully that can hit themselves right into the home series versus the Yankees and we can get hot at home. Maybe we will, considering the weather should be a lot hotter by then. Just keep winning Mariners, just keep winning.